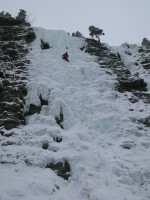 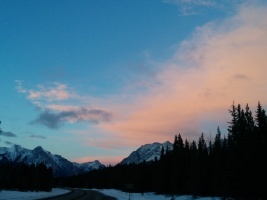 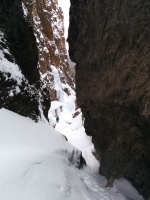 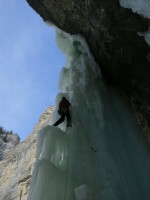 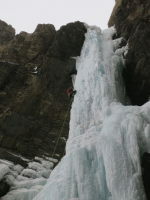 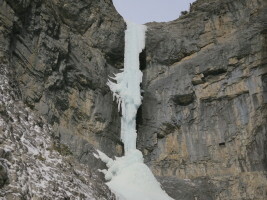 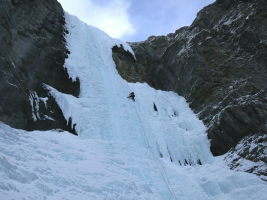 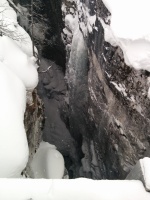 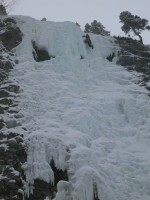 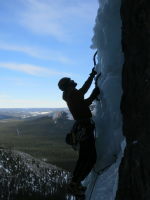 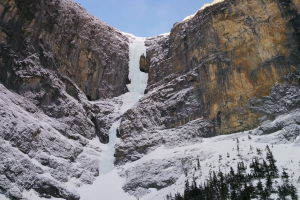 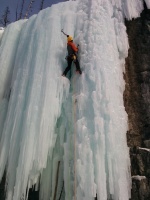 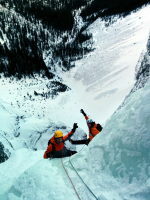 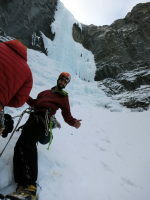 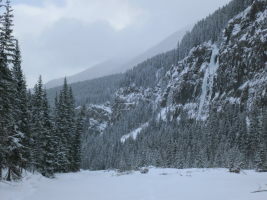 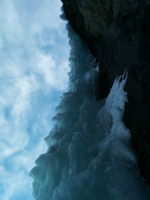 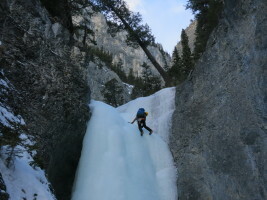 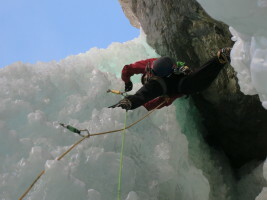 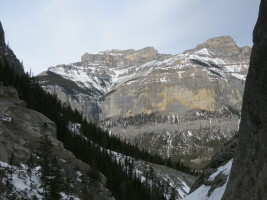 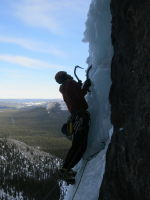 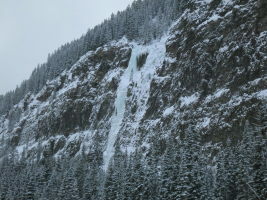 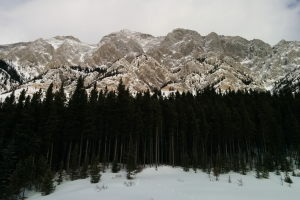 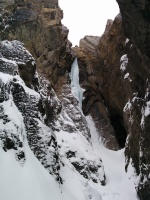 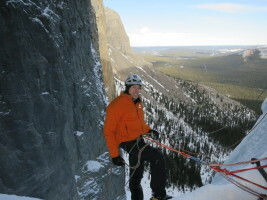 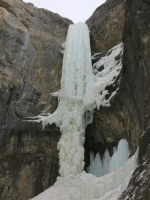 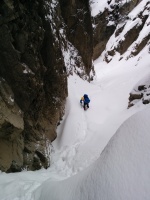 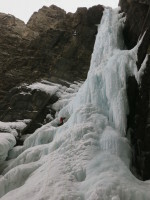 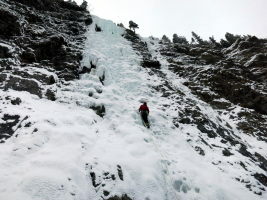 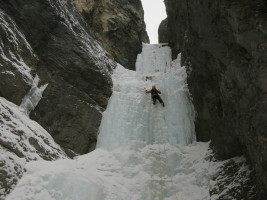 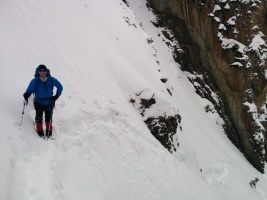 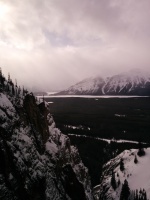 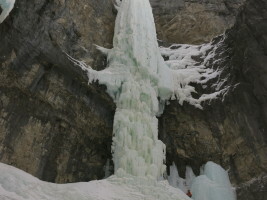 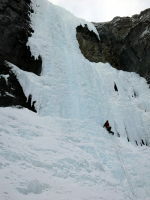 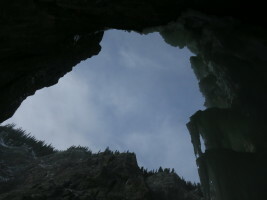 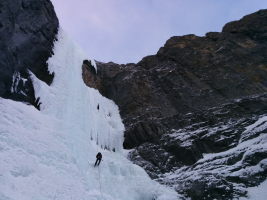 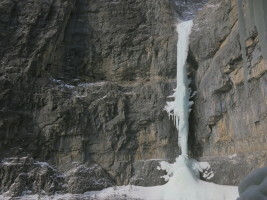 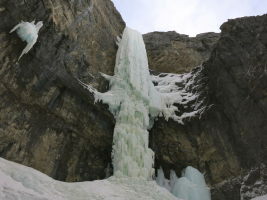 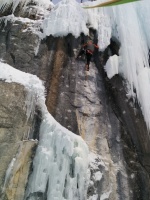 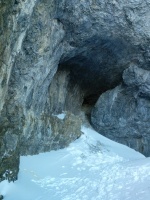 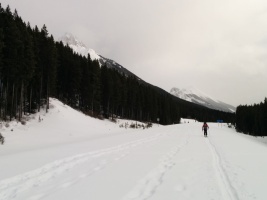 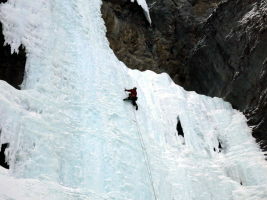 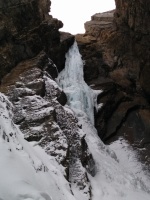 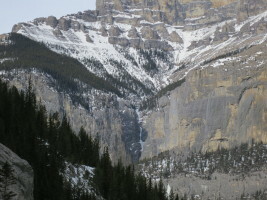 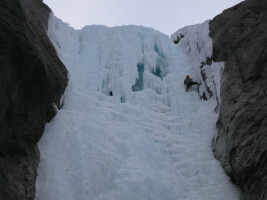 Another great ice climbing trip to the Canadian Rockies! 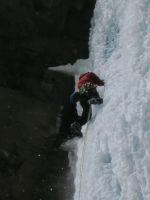 On the first day, we climbed Wicked Wanda, which was in really easy condition compared to the average year (the cave had filled out). 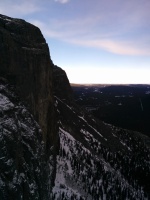 The following day we went to do Rainbow Serpent, which is rarely formed... but this year it was! 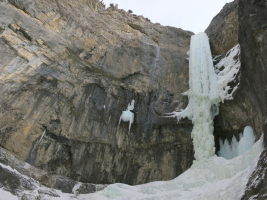 That was the highlight of the trip for me - the first pitch had really funky mushroom climbing with a couple of overhangs thrown in, while the second pitch was simply very steep and pumpy - a workout, for sure! 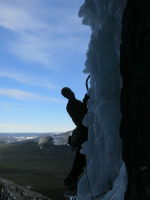 Rainbow Serpent Rainbow Serpent with the wild mushrooms on the first pitch First pitch of Rainbow Serpent. 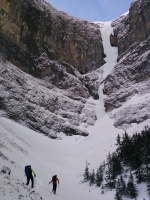 A couple of wild roofs to go over were the mental crux... Karen on the bottom right for scale! 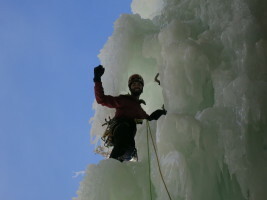 Starting up the first pitch Enjoying a no-hands rest! 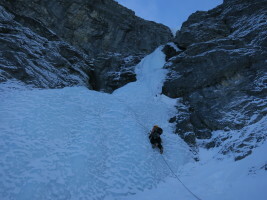 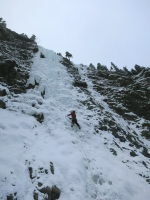 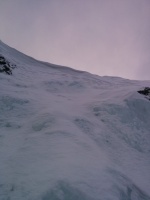 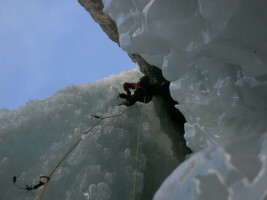 Starting up the second pitch - steep and rotten ice in places, pumpy! 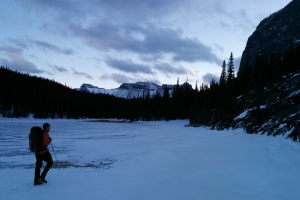 The Sorcerer - what a spectacular location! 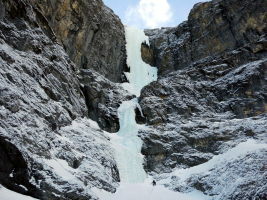 Whiteman Falls, we meet again! 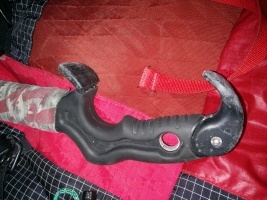 Busted tool... 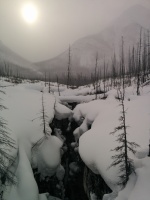 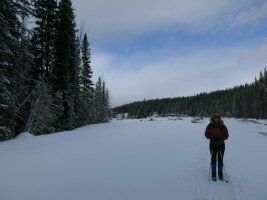 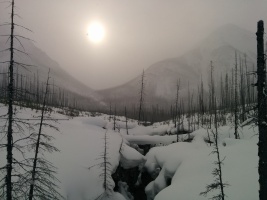 Hiking into Moonlight with Melissa, high of -15 C that day The summer of 2013 flood damage in Evan Thomas is pretty impressive. 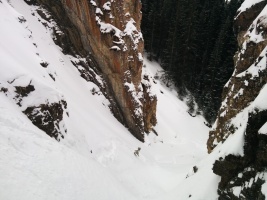 Right or left? 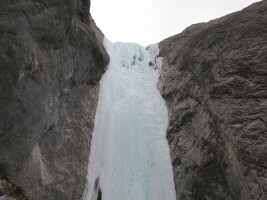 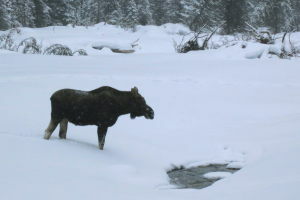 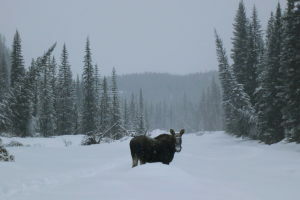 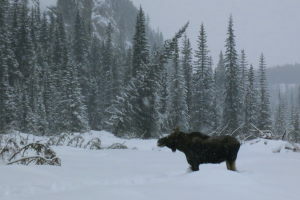 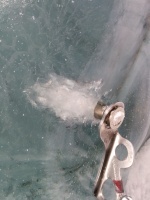 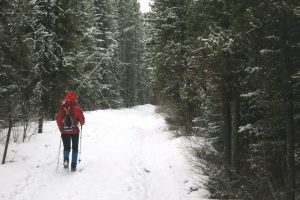 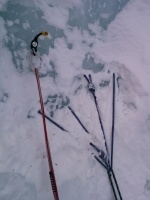 Right was the wrong choice (fresh, very brittle ice, lots of cleaning.. vs the hooked out left side) At the crux, it started snowing.. We ran into the resident moose on the way out! 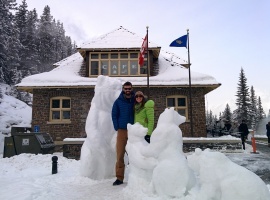 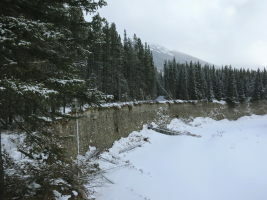 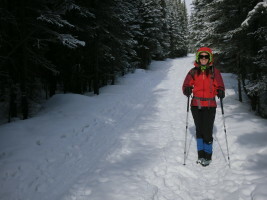 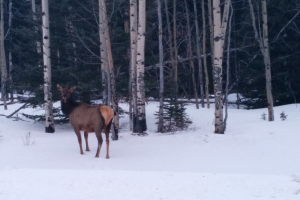 After the Banff hot springs!